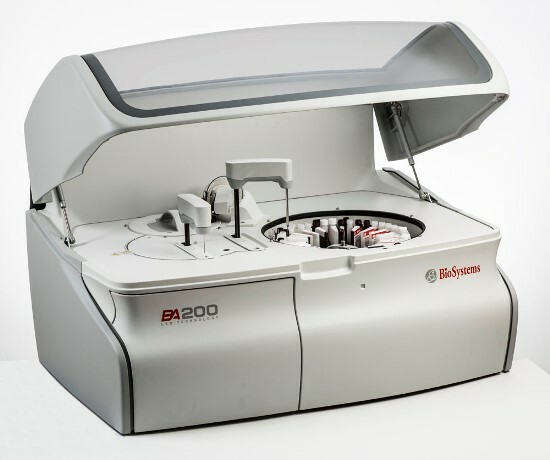 BioSystems S.A. is proud to present the new benchtop analyzer BA200. The BA200 appears on the market as a need to complement the BA400 for all medium-sized laboratories that demand a qualitative technological leap towards more automated systems. This is one of the analyzers with the most storage capacity of reagents in its segment, which along with the maximum flexibility of sample and reagent placement, make it attractive to either emergency or routine laboratory. The LED technology with a Dynamic Baseline, together with a self-correcting algorithm of light intensity in each measurement, makes that the instrument with a high-performance optical system. With the BA200 the need of unifying platforms arises and it is translated into a sharing of consumables, from reagents to calibrators, controls and spare parts and takes shape with the launch of the platform BA. Both systems share many specifications, as well as design and user interface, and thus reduce costs of training time and money. For additional information, contact your local dealer.